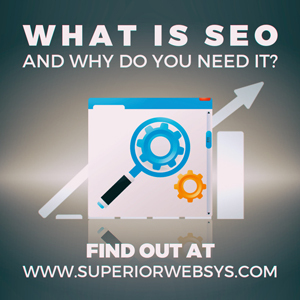 Web Development Blog: What is SEO and why do you need it? Organic Search Research Optimization has undergone more than a few changes in recent years, but it still remains one of the surest, most reliable ways to reach your customers, increase website traffic and generate leads. 1. It Just Works. Simple as that - the methods used to improve SEO are still very much efficient. All it takes to verify this, is to see which companies invested into this marketing strategy and check their google ranking for their optimized key phrases. 2.It is Here to Stay, for a good long time. Doomsayers have been predicting the “demise of the organic SEO” since day one, but it is still alive and kicking. Searches depend on keywords, even for audio and video materials. While we are in the domain of text-based searches, we will rely on Search Engine keyword algorithms and SEO will remain efficient. 3.It is Most Cost Effective. While Pay Per Click campaigns drive more immediate traffic, and social media helps establish your brand, Organic SEO can be the cornerstone foundation of your online presence. It continues to work for you after the campaign is finished. Yes, updates and additions will need to be made, but this type of upkeep will not cost you nearly as much. 4.Search Engine Market Share is on the Rise. With more users becoming techsavvy, and smartphones becoming browser-friendly, making searches for business accessible from anywhere, search engine business is booming. Yes, even for street store shopping. An average of 85% of customers will do online research for stores and brands, checking reviews and reading company information. This number is still on the rise and is expected to increase over the next few years. It will not take long for it to reach 100%, with every single business transaction for products or services starting from a keyphrase in a Search Engine. The question is, do you want them to find you? The next question is, how are they going to find you if you don’t have organic SEO in place? 5.Your Competitors are Getting SEO. If you are not moving forward, you are moving backward, losing ground to a competitor who is. Ignoring this important and valuable tool for establishing your web presence will put you at a disadvantage against your competitors. Investing in organic SEO is actually even more important than it was, despite the fact that it has become more tricky and technically challenging. At the hands of professionals, the method still generates the desired results and it cannot be replaced by any other web marketing technique.